second wife of King Louis XIV (1635–1719). 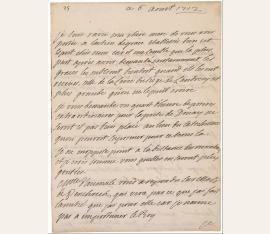 Autograph letter signed (“Maintenon”). N. p. 4to. 2 pages. Madame de Maintenon (1635–1719), second wife of King Louis XIV of France. 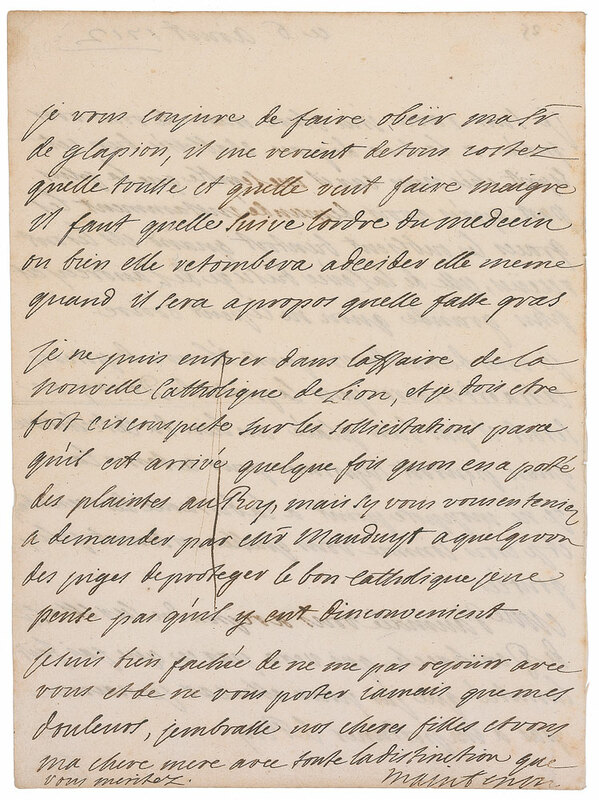 Autograph letter signed („Maintenon“). N. p., August 6, 1712. 4°. 2 pp. – An outstanding letter concerning politics, religion, and education. 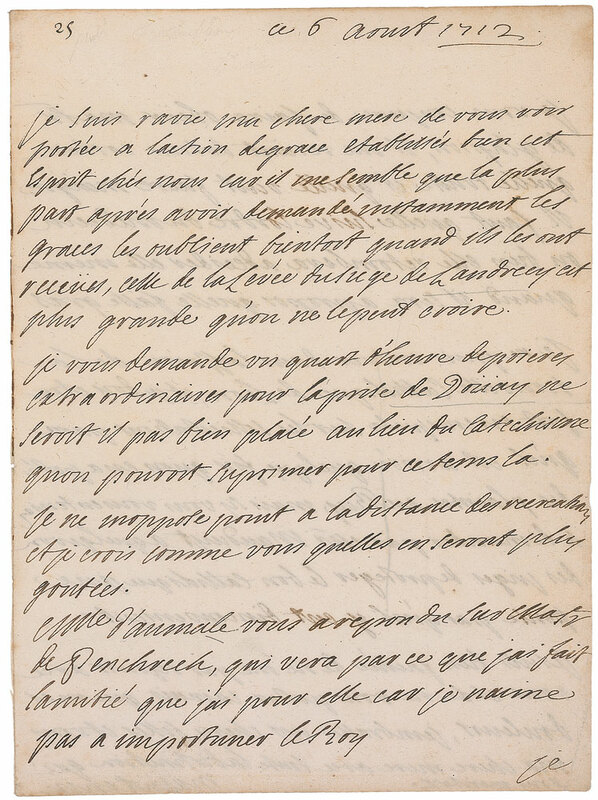 Although she declares herself reluctant to pester the King, she frequently used her powerful influence, and there were complaints, as her letter indicates. To Madame de Vertrieux, Mother Superior of the Dames de la Maison Royale Saint Louis at Saint Cyr, the famous school founded by Madame de Maintenon. – Mild toning, a bit heavier along edges and over signature, a bit of light foxing, and mild show-through from writing on reverse, otherwise fine condition.